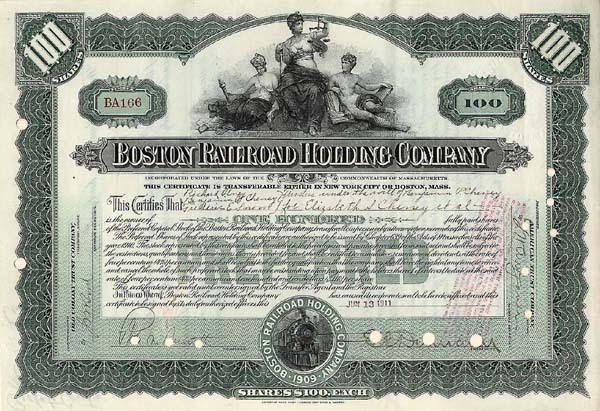 Railroad Stock. Nice vignette of 3 allegorical figures seated at top center, steam locomotive at bottom. American Bank Note Co, NY & Boston. Quite Scarce! Available in Brown, Green or Orange. Please specify color.